Goa is one place in India that offers endless options for unforgettable experiences for travelers, with its pristine beaches, stunning coastal drives, amazing seaside shacks and restaurants. Goa’s rich cultural history can be experienced with a walk into centuries old churches and the fort. No wonder that Goa attracts millions of visitors from all over the world every year, right! To find out more about what to see and do in amazing Goa, check out the following top things to do in Goa. It won’t be wrong to call Goa the gambling capital of India. Not surprisingly since Goa is one of the just 2 states in the country that have allowed gambling and ever since, Goa has become the top destination for people interested in casinos. 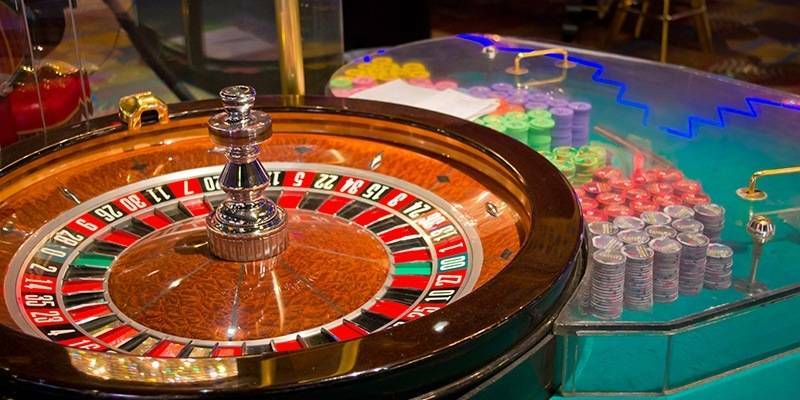 In an effort to bring more tourism to Goa, there are now more than 10 casinos operating in Goa. Goa offers choices of land-based casinos in 5-star hotels and floating casinos on riverboats parked in the Mandovi River in Panjim. Each casino has different entry charges and packages. Most of them start at around 2000 INR per person that includes some ‘non cashable’ playing chips. Some packages would include buffet dinner as well. Among the floating casinos, Deltin Royale and Deltin JAQK are the best while Casino Pride 1 and Casino Pride 2 are slightly cheaper compared to Deltins. Land-based casinos in Goa include Crown Casino Panjim, Casino Paradise and Grand 7 Casino. A visit to a casino is a not a thing-to-do in Goa you would wanna miss. 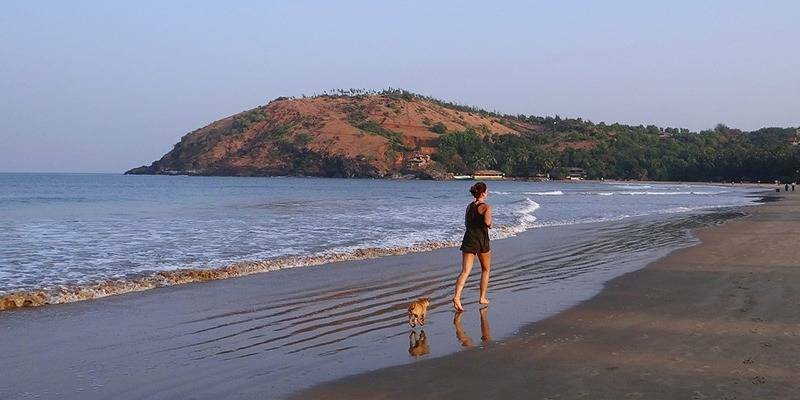 There is much more to Goa than just the Sun, Sand & Sea and their beach shacks and parties. Goa has a rich cultural history and that shows in its various Churches and Forts spread all over the state. These forts situated on the coast are a great place to watch sunrise or sunset or to come and have a picnic by the sea. Some of the forts in Goa that deserve to be visited are the Aguada Fort, Chapora Fort and Reis Magos Fort. 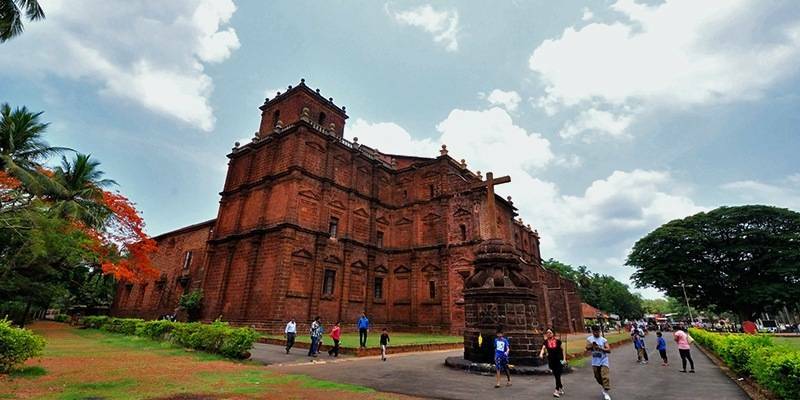 Thanks to the Portuguese colonial past, Goa has some magnificent churches such as 16th century The church of St Francis of Assisi, Se Cathedral and Basilica of Bom Jesus in Old Goa. We are pretty sure you don’t need any gyan on this tip. Goa undoubtedly is the party capital of India. 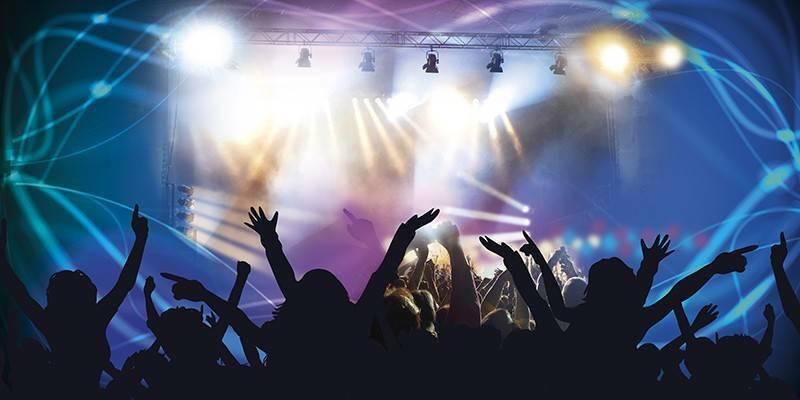 From beach parties to swanky clubs, secret rave parties to ‘silent’ psytrance/trance music parties – Goa has it all; Enough options for you to go out every night and party till the sun is out. 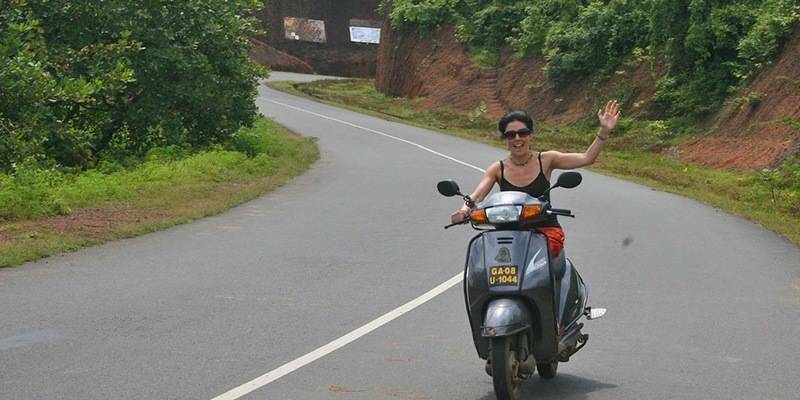 Human powered or gasoline doesn’t matter but bicycle and motorbike are the best way to see Goa. Not only gives you a much closer experience of things and culture bit it’s also the most convenient way of transportation as well. Most hotels offer bike on rent as an additional service, if yours don’t then you can easily get one nearby. A holiday doesn’t feel complete without a little bit of shopping, and what better place to get some amazing deals and atmosphere at one of the Night markets in Goa. 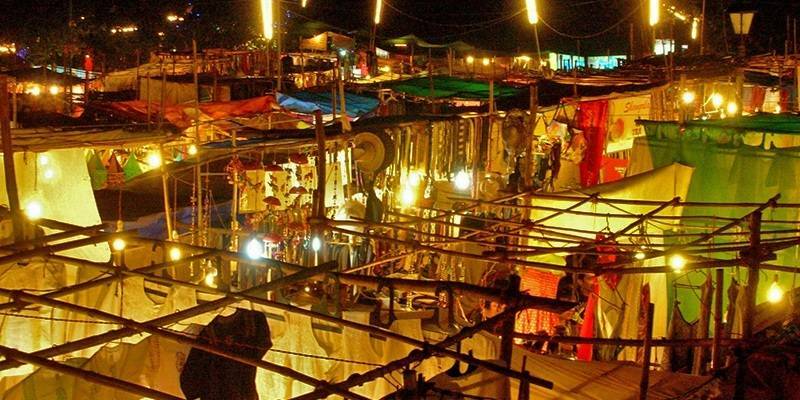 While Anjuna Flea Market opens Wednesday morning and starts shutting down around 6 PM, Saturday night markets in Arpora and Baga open late evening and remain open well past midnight. It doesn’t matter if you are an adrenaline junkie or not, you ought to experience some form of water sports off beaches of Goa at least once. With a little bit of bargaining, you will easily get a good deal. Usual package gets you 4-5 kinda activities which include water scooter, banana ride, bumper ride and para-sailing. Some calm beaches like Palolem are a good spot to go kayaking as well. There is no better time to be on the beach then early morning. Waking up early to catch the rising sun might not be easy after a party that went late into the night but still waking up early enough when Sun is still low and there is chill in the air is totally worth it. Same beach would look quite different early morning. This would seem like an obvious thing-to-do in a place like Goa but unfortunately many of us just dont do it. There would be no vendors, lot less people and you can find the perfect setting for a jog or a yoga session. Some fishing beaches might give a glimpse into the life of fishermen as well. 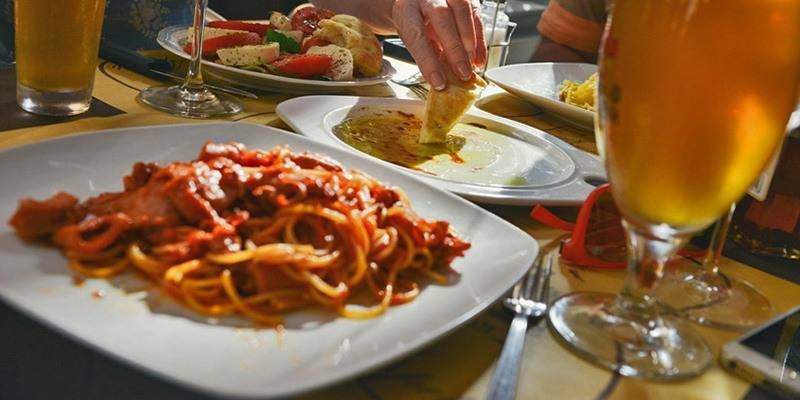 One advantage of being a destination of choice from tourists around the world is that you get to taste awesome tasting, nearly authentic food from very many places around the world. Besides, local Konkani and Portuguese food you can taste Continental, Israeli, Russian, Greek, German, French, Pan-Asian and probably some great food from lot of other countries as well. 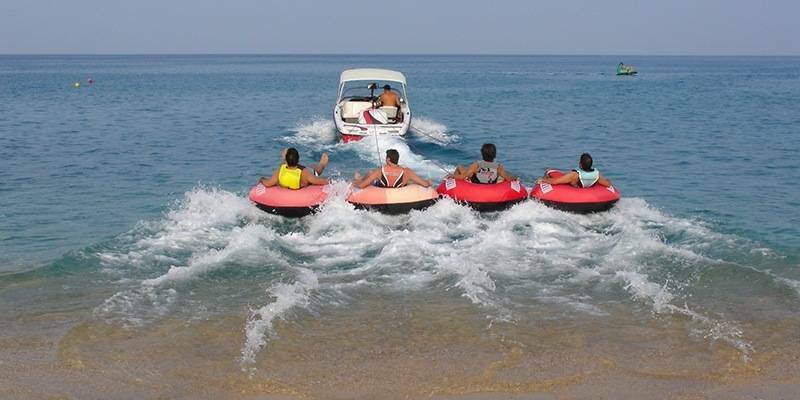 Besides the regular water sports activities, Goa offers some truly amazing experiences on the sea. 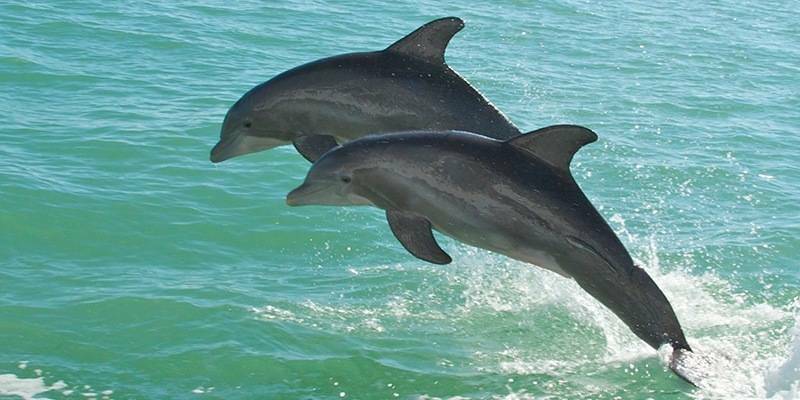 You can take a speedboat cruise from one of the beaches like Palolem beach and Agonda beach for a Dolphin watch tours. You need to bargain on price but if you happen to see Dolphins, it’s an amazing experience. Be sure to go early to maximize your chances. Apart from this you can get a package that includes a visit to uninhabited islands, go snorkeling on its beach and get a barbecue going. Butterfly Island off Palolem beach is a good destination for unspoiled beaches and marine life. All that partying in Goa and travel can easily cause travel fatigue to anyone. You get tired and low on energy, and you really couldn’t care less about visiting another beach, church or a shack. For such stressful times on your travel get an ayurvedic massage on a beach, relax in a sauna or just go for an early morning stroll on the beach. Goa has plenty of massage outlets and masseurs are available right on some of the beaches itself. Most people identify Goa with beaches, shacks, party places and Portuguese architecture but Goa has more to it than just that. 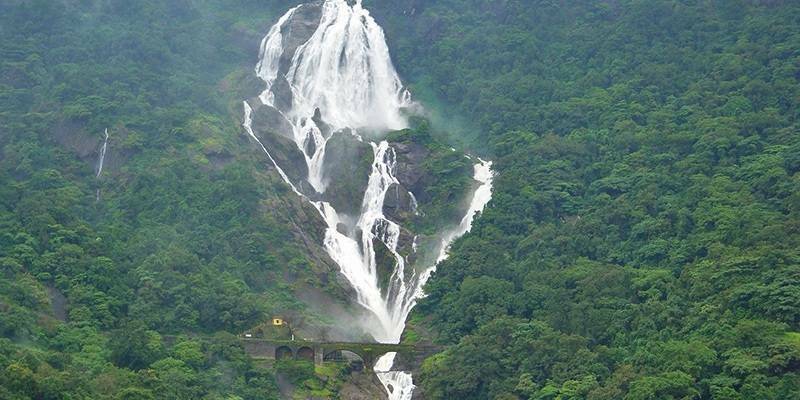 Goa has one of the most beautiful waterfalls in India in DudhSagar Falls – which translates to “sea of milk”. Reaching here involves a short trek but the views are totally worth it. You actually get to walk along a rail track to reach this place. One can rent a self-drive vehicle or get a taxi or buy trek package from one of the operators. 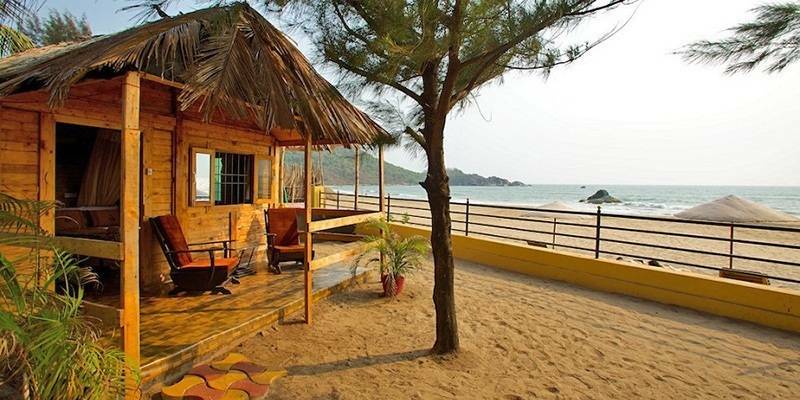 In the winter season of November to February, weather in Goa is pleasant and this is the best time to stay in a log hut on the beach. These huts blend in nature and are usually very close to the sea or sometimes set in coconut plantations on the beach. You get all the basic amenities like attached toilets and in some cases, these huts are air-conditioned as well. Heads up all the adrenaline junkies out there. If you are tired of reading all the wet and damp sports at Goa, then here’s a treat to your hormones. I am listing some of the sports in Goa where you can feel your adrenaline skyrocketing. Starting with a military simulation (Milsim) to bungee jumping Goa can offer a wide range of thrilling experiences out of water. Speed thrills but kills on the road, not here. This is a place in Goa which can help you to get rid of that itching to flooring accelerator pedal and revving the engine till its life come out. Goa is home to one of the finest go cart race track in India. The track in Nuvem is one of the best in India and hosts JK Tyre National Go Karting Championship every year. The other go-karting track at Arpora is a smaller one of 340 metres, situated near the Saturday Night Market which is a popular tourist spot. It’s safe and thrilling for people of all ages. Fan of call of duty and Modern Combat then Milsim at Goa is the right place for you and your Gaming fanatic friends. With a wide spectrum of combat situation Milsim is the closest you can get to the thrilling missions you’ve encountered only inside a PC. Apart from this, very recently they’ve introduced Human Foosball (A spin-off of the table foosball) and Virtual Insanity (VR Gaming experience) too. Snow park is the place where all your cravings for digging in the snow, making snow man or snow angel come true. This snow world will help you take a break from all the heat outside. The attractions include an ice slide, a maze of ice tracks, Sledging and a snow-filled play area with numerous games on the plate. With the addition of snow park, you will be no longer visiting the land of sun and sand but snow too. Goa is now home to this south pacific ritual which takes your nerves to the extreme.Jumping from a 24 metre platform doesn’t require any physical fitness but it takes nerves of steel to jump trusting the elastic rope. It’s the perfect sport to kick up your adrenaline by going down. Also Read: Goa’s Top Beaches – 20 Best Beaches of Goa!